The RESISTANCE is coming — back to Miami, that is. RESISTANCE Island makes its grand debut this year at Ultra Music Festival 2019. Ultra 2019 is celebrating its first edition at the Historic Virginia Key Beach Park & Miami Marine Stadium. The worldwide festival — which is in its 21st edition in 2019 — has announced several expansions and additions as part of their relocation. Some changes attendees can look forward to include a higher festival capacity, extended hours (until 2am), and an expanded RESISTANCE. RESISTANCE will also be launching two new stages this year: PLAYdifferently and The Arrival — a stage that’s direct from the PLAYGROUND Sound Camp at Burning Man. From March 29-31, RESISTANCE Island is taking over the Historic Virginia Key Beach Park side of the venue for the entire weekend. 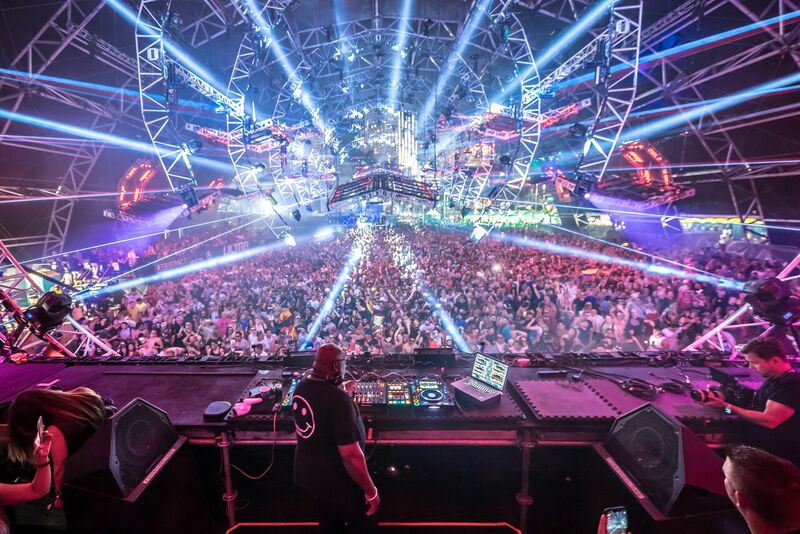 For the first time in RESISTANCE history, the Carl Cox MegaStructure will be hosted on all three festival days. The King’s showcase includes an exclusive B2B set on Saturday, featuring a special guest. RESISTANCE certainly isn’t holding back this year. With newly announced stages, expanded space and its own island, extended hours, and a stellar lineup to boot, the anticipation for this year’s unveiling is bigger than ever before. What started as one stage in 2015 has rapidly grown to a worldwide phenomenon. In addition to RESISTANCE Global Ambassador, Carl Cox, and Richie Hawtin, headliners include the likes of the Adam Beyer, Sasha | John Digweed, and Testpilot, which is deadmau5’s techno moniker. While Adam will play a set on his own, the head of Drumcode will be teaming up for a much-anticipated B2B set with Cirez D.
Discover more information or purchase tickets, here.